Graduation ceremonies at Wilson College were brightened by the presence of several young people in red caps and gowns. 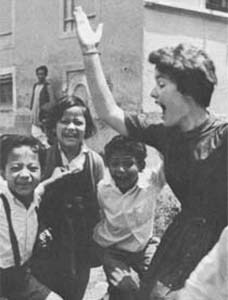 Children of women participating in Wilson's Women with Children program get to walk with their mother when she receives her diploma. More than 100 students graduated during the 135th commencement ceremony, held Sunday afternoon on the main green of the Wilson Campus. Approximately 10 had their children with them. 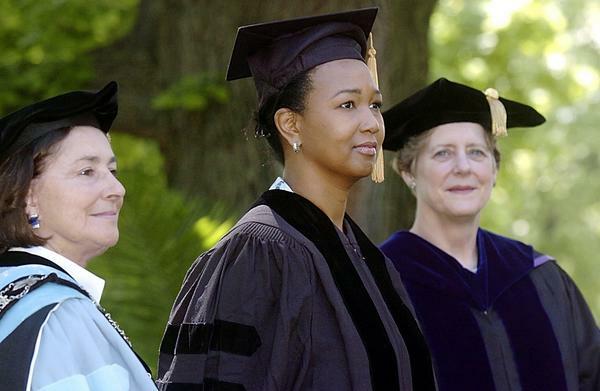 An honorary doctorate of science was conferred on Dr. Mae Jemison, who gave the commencement address. Jemison, a physician and astronaut, was also the first woman of color to go into space. She served on the space shuttle Endeavor in September 1992 and is now the president of two technology companies that she founded. Jemison sprinkled her speech with humor while addressing serious issues of world hunger and the role of science and technology in the world. She told the graduates "Graduation is all about transition and change," and reminded them of the power that comes when one recognizes that change is always present. Jemison concluded by telling graduates that, in her opinion, "Ideas are like potential energy." She went on to explain that ideas are "really wonderful, but nothing will ever happen unless you use the energy."